A survey of council budgets has painted a bleak outlook for the adult social care sector. 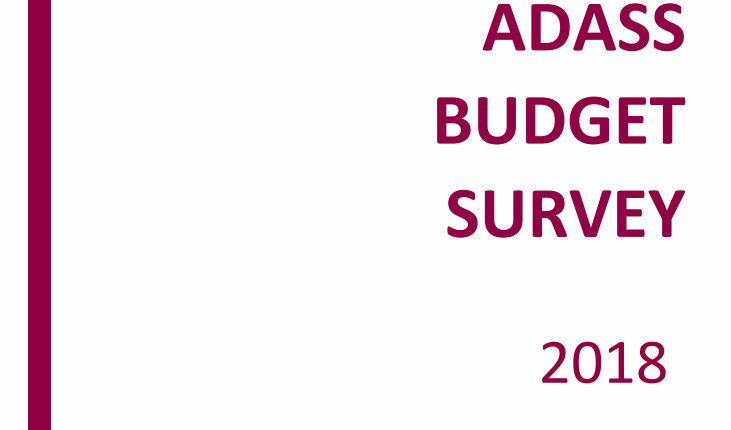 In its 2018/19 annual budget survey the Association for the Directors of Adult Social Care Services (ADASS) warns of further cuts by under pressure councils unless additional short-term and long-term funding is made available. Forty-eight councils said they had seen care providers close of cease trading in the last six months. A further 44 councils have had contracts handed back by providers unable to meet them. Adult social care has taken an increasing share of council budgets, now accounting for 38% of spending. Four in five councils (78%) said they were concerned about their ability to meet their statutory duty to ensure care market stability. Nine in ten councils (92%) said they had increased their precepts to cover social care costs just to keep pace with demographic pressures. Recruitment and retention was the most significant worry with directors stressing the urgent need to increase salaries with carers amongst the nation’s lowest paid workers. Andrea Sutcliffe, the Care Quality Commission’s (CQC) Chief Inspector of Adult Social Care, said: “Over the last two years the Care Quality Commission has raised concerns in its State of Care report that the adult social care sector is precarious with mounting pressures continuing to push the sector towards a tipping point. The ADASS budget survey reinforces our concerns and lays bare the financial pressures directors are facing which we know can have a direct and detrimental impact on the quality of care and support people receive. “While most people do experience good care, the fragility of adult social care is real – and through CQC’s targeted reviews focussing on how older people move through health and social care services at a local level – we are seeing the impact of this across the whole health and care system.